aka sea foam hat. i love this hat. i have always loved this hat. i’m so pleased it never sold!! here is a modeled shot of how it fits my little guy. handspun, hand dyed yarn, and some commercial yarn in the giant tassel. happy making, i say. happy making. raveled here. 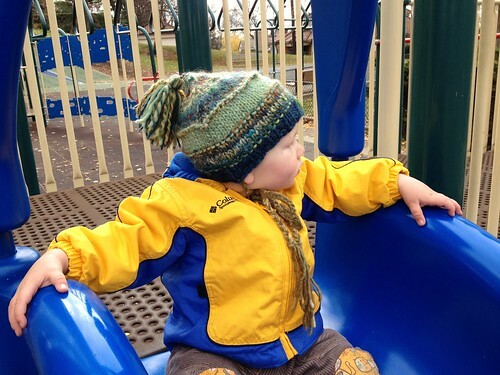 This entry was posted in cosyknitsliterally, handspun, hats, knitting, spinning by cosymakes. Bookmark the permalink. I can see why you love it.. It really suits him.